On June 17, 2016, the City of Chicago took one step closer into joining the ranks of requiring employers to give paid sick leave to their employees when the City Council’s Committee on Workforce Development and Audit unanimously voted on the Ordinance to do just that. If passed, Chicago will join 26 other cities (such as New York City, NY, Newark, NJ, and Philadelphia, PA), along with Washington, DC and five states (California, Connecticut, Massachusetts, Oregon and Vermont), who have also passed similar mandated paid sick leave for workers. The Ordinance as currently proposed will be applicable to an employer of any size – this means all companies with employees in Chicago will be required to comply. Any employee who works at least 80 hours in a four month time span will qualify. Thus, this new Ordinance applies to part-time employees as well. Employees will accrue 1 hour of sick leave for every 40 hours they work – with a cap of 5 days paid leave per 12 month period. Up to 20 hours (half of the allotted time can be carried over to the next year, with 40 hours of carry over to be used towards FMLA leave). Employers could not require that employees must find their replacement to cover their shift while they use the paid sick leave. Employees could use the time off for more than just being sick (i.e., closure of a school or business due to a public health emergency, domestic violence). Companies without Human Resources Departments will have a harder time administering the leave and curbing use-abuse by employees. Any earned but unused sick leave would not need to be paid to employees leaving the company for any reason. Employers could require a seven day notice for any foreseen absences such as a pre-planned doctor’s appointment. Temporary and seasonal workers will be excluded since they won’t be able to meet the 6-month waiting period to use the time once it starts accruing. Employers would get one year to implement due to the effective date of July 1, 2017, if passed. Current collective bargaining agreements do not need to be modified to include paid sick leave or amend existing provisions, as well as, negotiations for future contracts could waive the paid sick leave requirement. If an employee is absent 3 consecutive days, the employer could require a doctor’s note or other legitimate proof for the time off. Stay tuned as the full City Council votes on the mandatory paid sick leave Ordinance tomorrow, Wednesday, June 22nd. This entry was posted in paid sick leave benefits and tagged City Council's Committee on Workforce Development and Audit, City of Chicago, paid sick leave on June 21, 2016 by smithamundsen. Under the Family Medical Leave Act (“FMLA”) employees do not have to expressly say they need “FMLA” or otherwise invoke any of its provisions when requesting leave that would qualify under the FMLA. As such, employers have to be vigilant and question whether an employee’s request or need for leave qualifies for FMLA leave. In the recent case Amstutz v. Liberty Ctr. Bd. of Educ., No. 3:13CV2385, 2015 WL 5254988, (N.D. Ohio Sept. 9, 2015), the District Court for the Northern District of Ohio held that the employee affirmatively declined FMLA leave and thus was not able to pursue any of her FMLA claims against the employer. In Amstutz, the employee requested a week of sick leave for her grandson’s birth. The employee was advised that under the CBA she could only use one sick day and would have to use personal days for the rest of the week. When the week arrived the employee called in sick and said she would be bedridden for the rest of the week. When the employee returned to work she filled out a leave of absence form and provided a doctor’s note. The employer’s leave of absence form included a section that explained FMLA leave and included a checkbox where the employee could request FMLA leave. Instead of selecting unpaid FMLA leave, the employee requested regular paid sick leave. The Court in Amstutz held that the employee understood FMLA leave as she had taken it before and thus when filling out the leave of absence form she expressly declined FMLA leave by choosing paid sick leave and not checking the box for FMLA leave. The Court further held that since the employee declined FMLA leave, the employer could not have known that she wanted FMLA leave. Therefore, the employer was not obligated to provide her FMLA leave and could not have interfered with or retaliated against her in violation of the FMLA. The takeaway for employers from these cases is that there are actions that you can take to limit your exposure to FMLA claims through your policies and forms. First and foremost, it is important to have an FMLA leave policy that is understandable and that identifies who employees should talk to in the event of an absence. 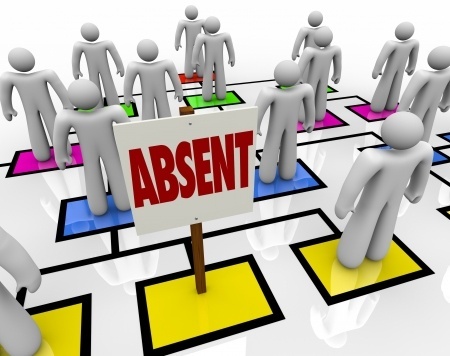 Next, as demonstrated by these cases, leave of absence forms and other reporting techniques can be used to help in defending against FMLA claims by showing that the employee affirmatively declined FMLA leave. This entry was posted in FMLA, Leave of absence, paid leave and tagged Amstutz v. Liberty Ctr. Bd. of Educ., Escriba v. Foster Poultry Farms, Family and Medical Leave Act of 1993, paid sick leave, Ridings v. Riverside Med. Ctr. on September 18, 2015 by smithamundsen.